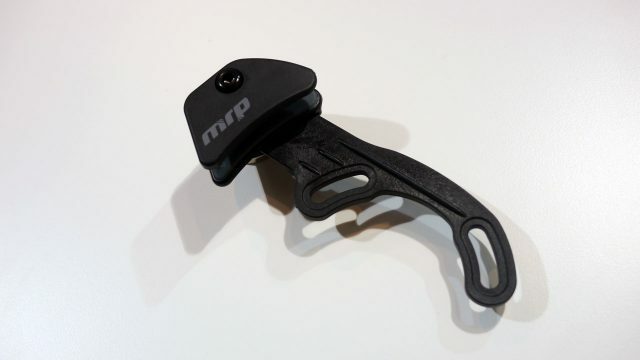 MRP launched the Ribbon air fork last year, plus their after market Ramp Control cartridges for other brands of fork, allowing riders to tune the end stroke of their forks with more refinement than token systems. 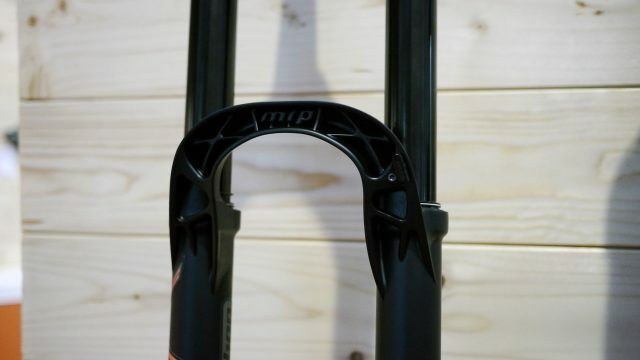 Now, they’re launching a coil version of the MRP Ribbon, and like its gaseous sibling, it also has ramp control to adjust progressivity of the fork. That Ramp Control is a different to the air driven version in the other kind of Ribbon, and is located in the bottom of the left leg rather than the top. A 27.5″ version of the Ribbon Coil weighs around 2080g, compared to the Ribbon Air at 1880g. Air forks can also be converted after market to be coil, but once it’s done it’s done; there’s no going back to air once you’re running a coil spring. 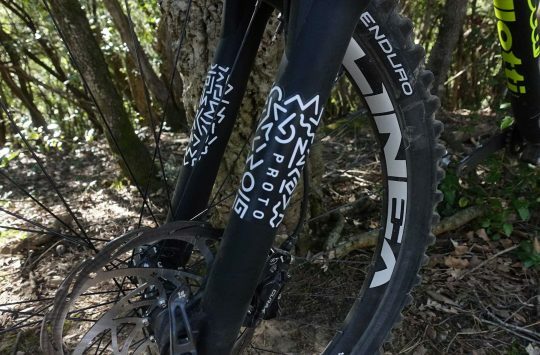 29er versions of each are also available. The Ribbon Coil doesn’t give many clues to its innards. Until you look underneath and find the Ramp Control. The Ribbon Coil will have a UK RRP of £899.99, which is the same as the Ribbon Air. 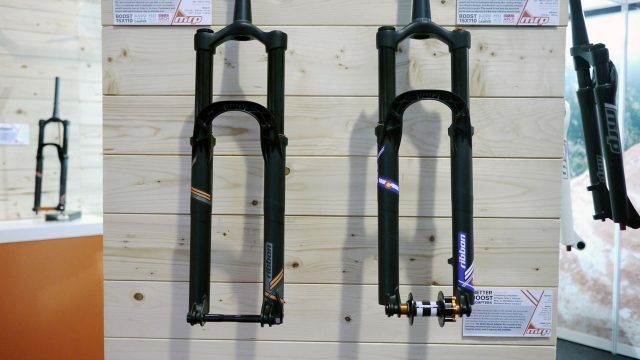 As well as forks, the other news from MRP was budget chainguides, but with better guide inners than before. The 1xCS chainguide is made from fibreglass reinforced composite (a similar material to the plastics that higher quality power tool bodies are made from), weighs 33g, and will have a UK retail price of £44.99. 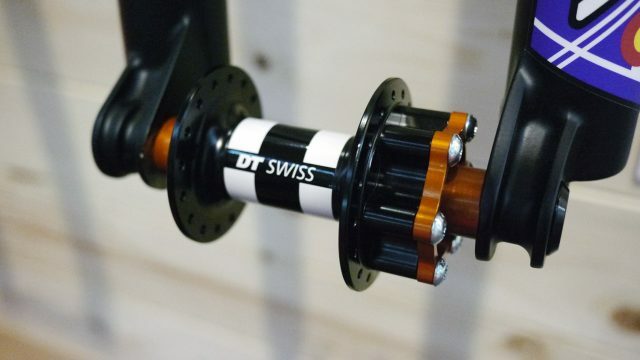 It fits 28t – 34t chainrings. 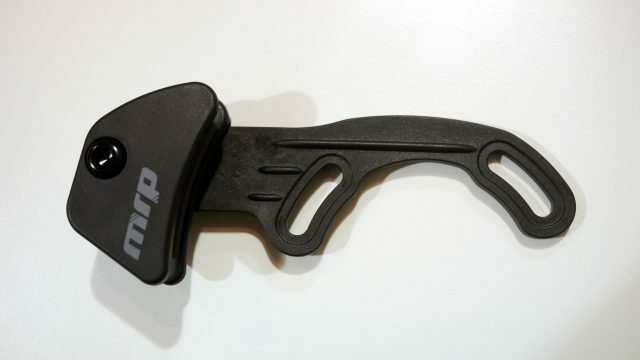 Previously, only their non-OEM guides have had a softer, molded inner layer to reduce noise, and OEM ones were made from a single piece of plastic. 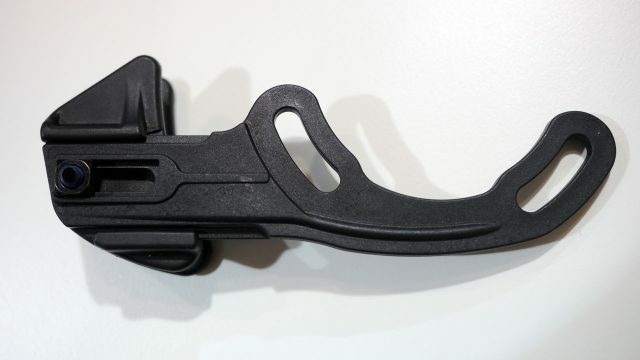 Now, all MRP chainguides, including the OEM ones too, will have the soft co-moulded inner pictured below. 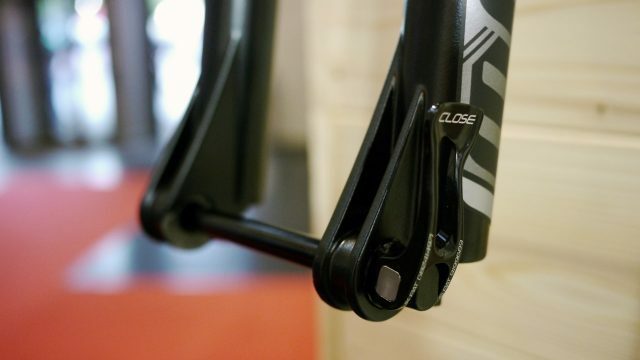 The 1xCS chain guide is made from glassfibre reinforced composite. 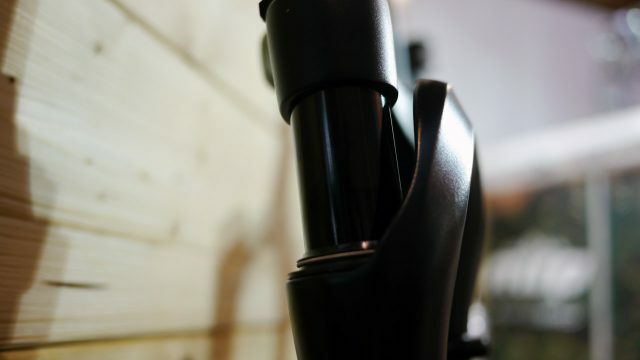 Inside the guide upper, there’s soft co-moulded grey rubber. This is going to be standard on all MRP guides from now on. 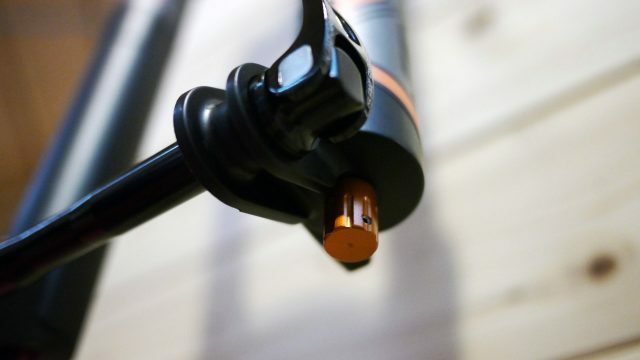 The 1xCS is a budget chainguide option compared to CNCed aluminium, but they wanted to give it the same high quality upper section as their other guides. 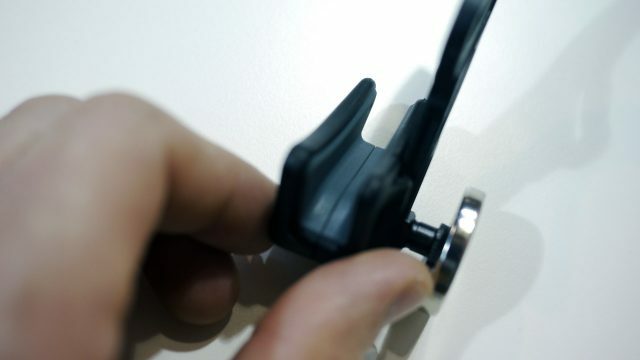 The backplate is a proprietary glass-reinforced material. As well as forks, they were showing off some Boost wheel adaptors too. 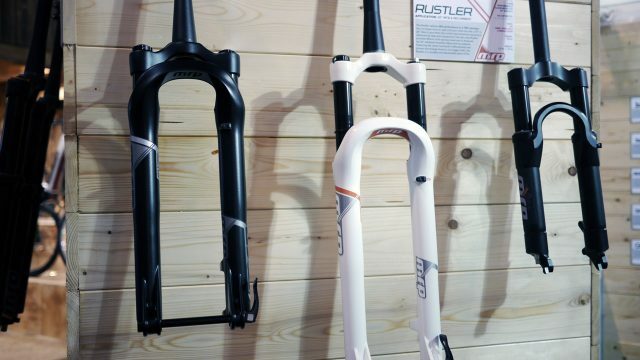 There was one other new fork on the MRP stand, and it was a bit of an oddity: The Baxter, a gravel-oriented fork that will nonetheless take anything from a 700x40c tyre to a 27.5″x2.5. 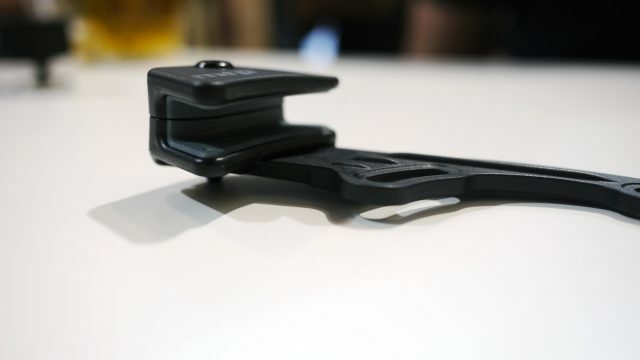 It has 40mm of travel, weighs 1540g, and is available with a 12mm or 15x100mm thru-axle. UK retail for the Baxter will be £749.99. The new Baxter fork is on the left. 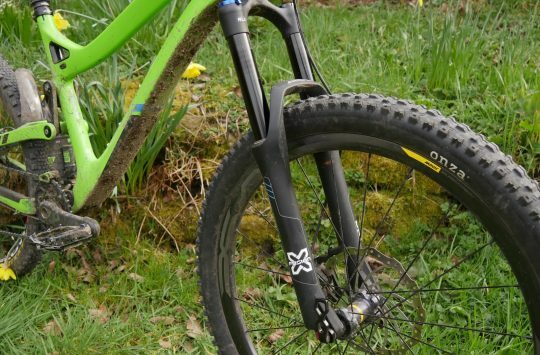 There’s also a tiny 20″ suspension fork on the right! 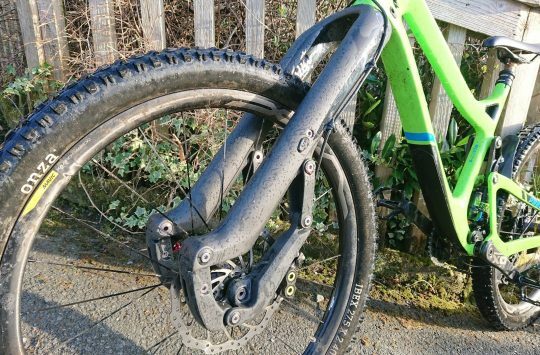 The Baxter has just 40mm of travel. 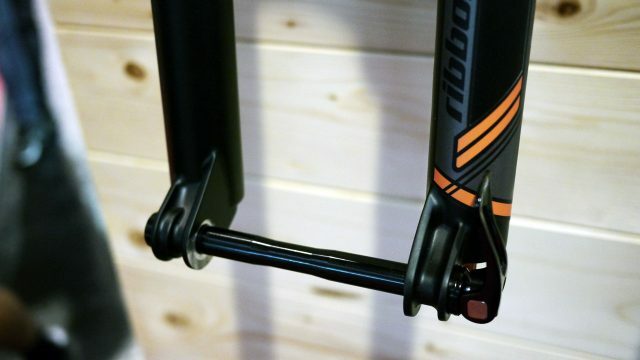 It’s non-Boost, and axle options are 12mm or 15mm thru-axle. You can read more about all of these things over at MRP. Do MRP’s boost wheel adaptor kits require the wheels to be re-dished? No the idea is they add 5mm either side, so you don’t need to re-dish the wheel… Hope that helps.